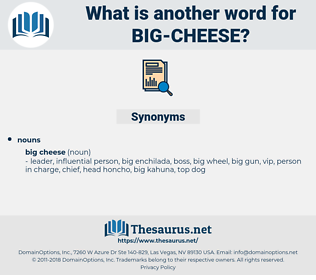 What is another word for big cheese? nothing, nonentity, shrimp, zero, inferior, twerp, mediocrity, subordinate, zilch, underling, whippersnapper, nobody, lightweight, obscurity. 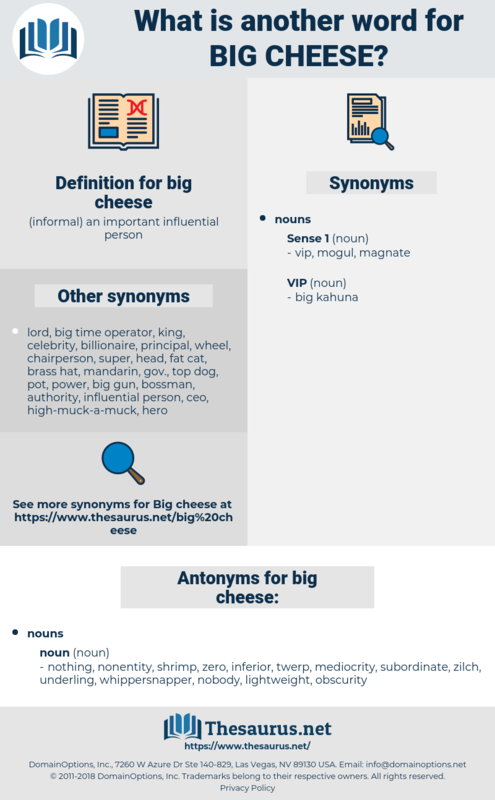 personage, influential person, important person.